We here at Amritsarworld.com have brought amritsar to Goa tour package for you at the best prices and the excitement level of this tour will be to the fullest. Here is the Day by day description of this tour package from Amritsar to Goa for you at the affordable prices. This is Day 1 of Amritsar to Goa Tour package. 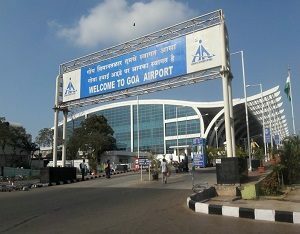 You arrive in Amritsar and from here you take the direct flight from Amritsar to Goa. You reach Dabolin Airport in Goa. Here you will meet our representatives of amritsarworld.com who will transfer to the arranged hotel in Goa through our taxi services. We would take care of everything for you. After reaching Hotel you will do the check in to the hotel and complete other formalities. After this you have the rest of the day on your cards. It is all your day. After relaxing for some time you can roam around freely in the street and market places. Enjoy your time to the fullest. Come back to the hotel in the night and you will stay there for night. You will have a big head ahead of you here in Goa. This is going to be great experience for you. Roaming around the serene Beaches of Goa, it would be just like once in a lifetime experience surely. 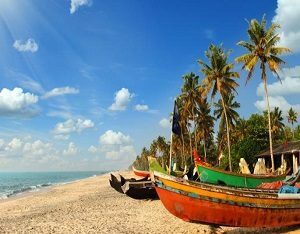 On the day 2 of this tour package from Amritsar to Goa you will get to experience the joy of beaches and other places of North part of Goa. So after having breakfast at the hotel where you are staying you will start the tour of North part of Goa. Mainly there are visits to most popular three beaches in the North part of Goa. These three beaches are as follows. There is nothing you will deprived on these beaches. Everything here will be so calm and tranquil. Calangute Beach is often known as the queen of beaches. It is the largest beach in the North part of Goa. 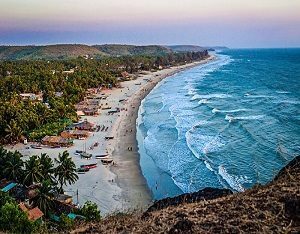 Everyone visits this beach for best experience of Beaches of Goa. At this calangute Beach there are so many great restaurants, clubs and shops. You can enjoy best food and do a lot of fun activities on the beach. You can do shopping as well in the popular market places all around. Baga beach is also very popular and a very happening place as well. You will visit this beach as well. Water activity and dinner is arranged for you at this beach only. This place is just so exotic. Baga beach stands amidst green hills and majestic Arabian sea forming eye catching landscape. In the night you will come back to the hotel and stay there for night waiting for next big day on your cards. 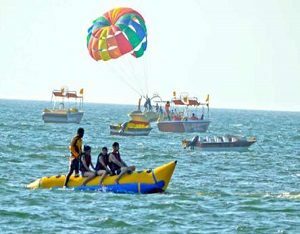 Now on this day you will make a trip to South part of Goa which is going to really exciting as well for you. After having breakfast at the hotel where you are staying you will start this tour. 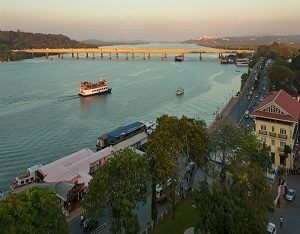 You will do the sightseeing which include all the famous Places like Dona Paula, Old Goa church. Then in the afternoon after lunch you will make a visit to Miramar Beach as well. 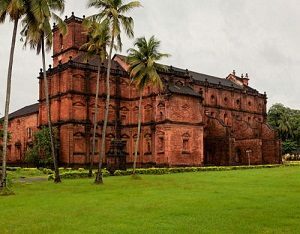 Basilica de Bom Jesus which is known as old Goa Church is the most famous church of Goa and most revered place as well here in Goa. 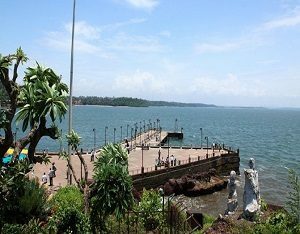 Dona Paula is another very popular tourist destination and a lot of people come here. It is on the suburbs of panaji, Goa. This tour package from Amritsar to Goa include 1 hour cruise ride as well on Mandovi river which is one of the most exciting things you will do in this whole tour. Overnight stay back at the hotel. Early in the morning you will travel back to Amritsar from Goa with all the fond and splendid memories of this tour.